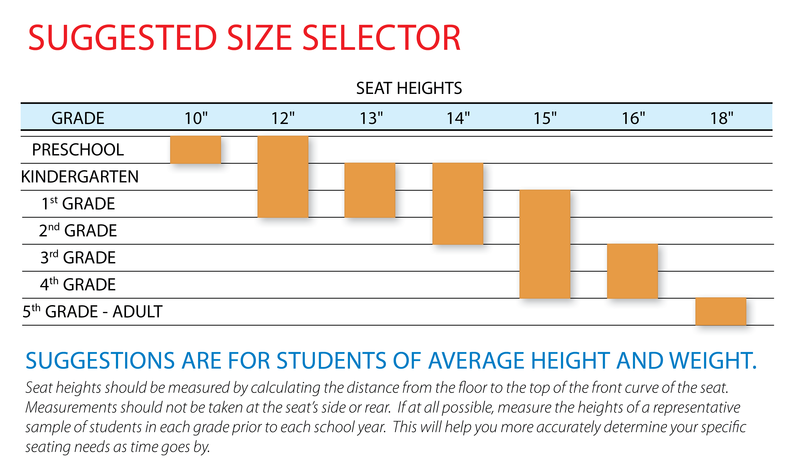 N2 represents a new generation of classroom seating, featuring affordability, comfort and durability. Two sets of contoured, flexible ribs allow the upper back to flex more than the lower, for exceptional comfort and support. One-piece molded polypropylene shell, pneumatic cylinder. Chair swivels 360°. Five 2" diameter, dual wheel, hooded swivel casters. An optional 5-pack of fixed glides and an optional 5-pack of soft-wheel casters are available.